Alison Wonderland wearing a tie-dye tee from the upcoming F21 x PEPSI collection! Last night influencers gathered at the amazing Dream Hotel in Hollywood for a night to remember. The Forever 21 x Pepsi Pool Party with Aussie DJ and campaign star, Alison Wonderland and was everything you would expect from the brand! 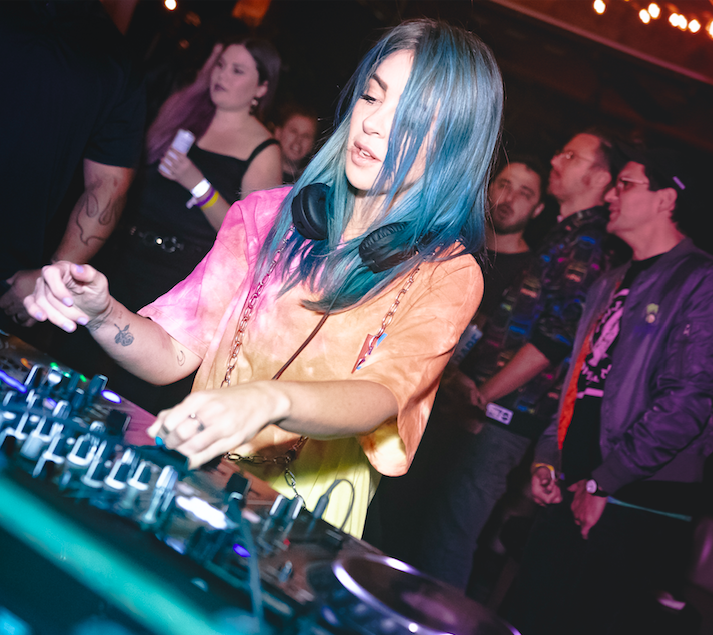 Alison Wonderland joined the F21 fam for an exclusive poolside party to celebrate the upcoming launch of the Forever 21 x Pepsi capsule collection - available to shop April 18th! The buzzy crowd was decked out in #F21xPEPSI gear, jamming out to Alison's set, while getting a sneak peek of the size-inclusive women’s and men’s capsule collection. The new partnership comes just in time for hotter temps and is all summertime throwback vibes! Pops of neons and unique patterns take over the line with a hint of modernism. Cropped sweatshirts as well as full length simple tees and staples that are classics is what makes this one a winner. The line is also extremely easy to layer for that effortless chic look! As for the party, it was packed with insiders and fashion forward individuals that were eager to check out the latest. The rooftop venue, which boasts amazing views of Hollywood, even took it one step further by providing classic video games as entertainment.